We hope you will find the website easy to use and full of helpful information and services that you can access from the comfort of your own home. 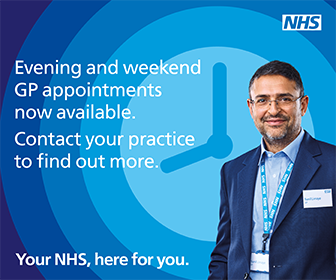 You can use the website to book appointments and order repeat prescriptions, you will need a log on for this. Please contact reception for more details. You can also update your contact details and send us your comments via the Friends and Family Test. Did you know that other health care providers in the local area may be able to help with your healthcare needs? Pharmacy first is a new scheme which allows people with certain minor ailments and conditions to go straight to their pharmacist to received a consultation and treatment without needing to visit their GP to get a prescription first. Simple winter ailments such as coughs, colds, back pain, diarrhoea, sore throats and headaches are now being dealt with at your local chemist. As well as winter ailments they can also treat conjunctivitis, impetigo, nappy rash, uncomplicated urinary infections and oral thrush. 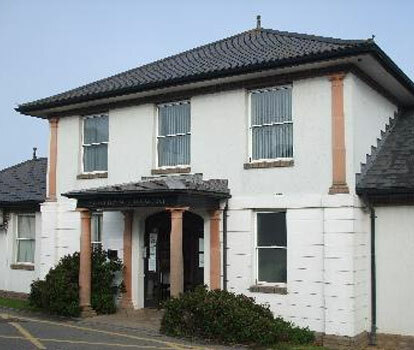 If your health is usually good then this service may be of use to you if you become unwell. Ask at your local pharmacist for details. 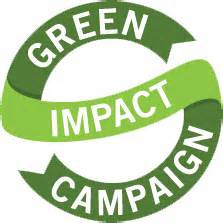 The Practice is working on its green impact. We are currently participating in working towards a bronze award for this! 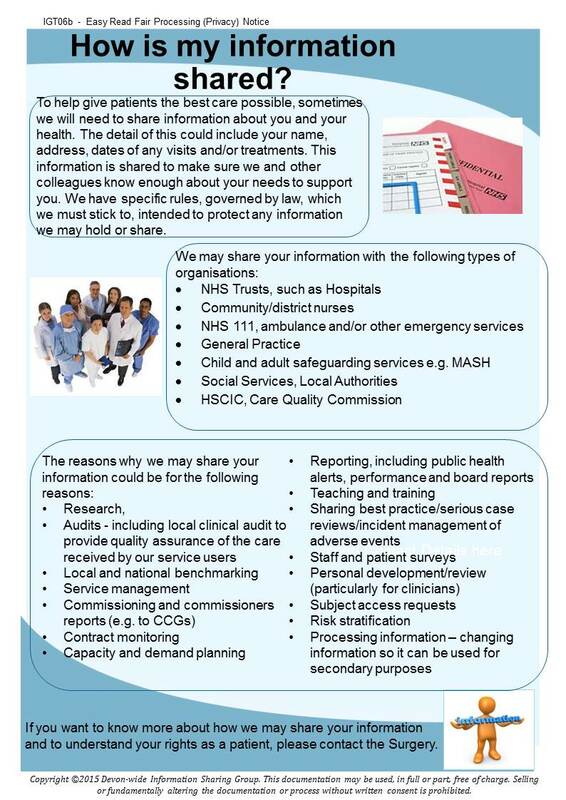 There is a local shared record programme that allows some of your medical records to be viewed by other local medical care providers, e.g. A&E, Out of Hours Doctors etc. You will always be asked for your consent, each time a professional accesses your records, unless you are too unwell to give permission. Your consent will always be recorded on your record. You will be automatically opted in unless you would like to dissent, please speak to a member of reception.